EXCLUSIVE! When Maria Antonia Josepha Johanna, a.k.a. 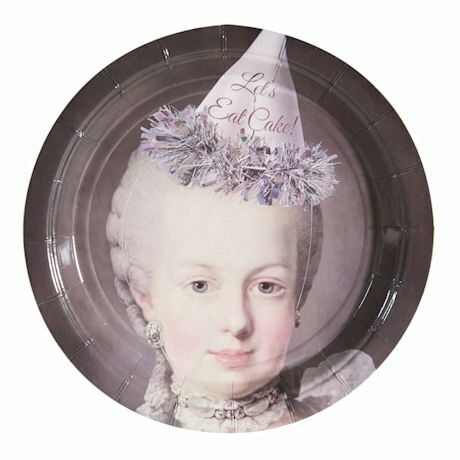 the Queen of France says it's time to celebrate, it's time to party tres-hardy. 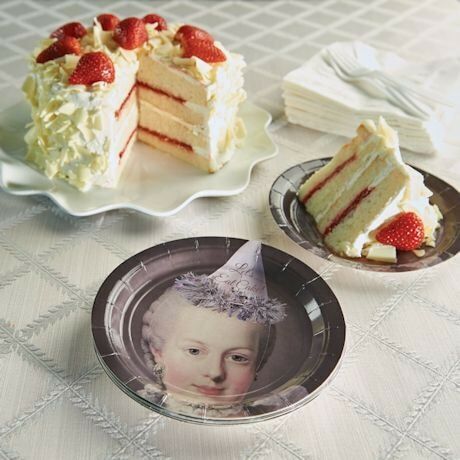 Slice up today's treat onto these ultra-fun Marie plates, with 20 in every pack of 7"-dia. 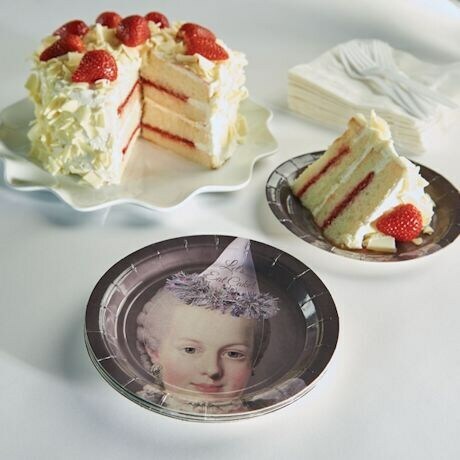 paper plates. Her party sparkly party hat reads, "Let's Eat Cake! ".